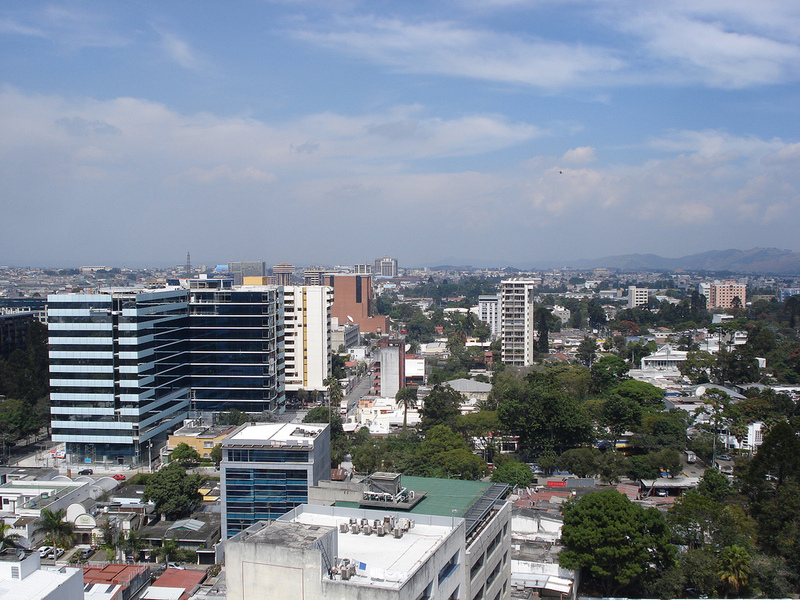 One of the Center’s regional foci is the Maya area of southern Mexico and Guatemala. We offer a two-year of K’iche’ language courses and a summer field school in Nahualá. Five faculty members are Mayanists (Arthur Demarest, Markus Eberl, Edward Fischer, and Norbert Ross). CLAS coordinates a number of projects in Guatemala in conjunction with the Vanderbilt Children’s Hospital, the School of Medicine, the School of Engineering, and Vanderbilt’s Institute for Global Health. 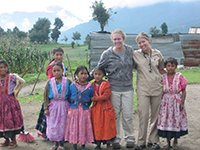 CLAS provides a home base for the InterAmerican Health Alliance, a non-profit organization that supports Primeros Pasos, a pediatric clinic in rural Guatemala. With the School of Nursing we have a midwifery program in Guatemala, and with the Owen School of Management we run a Project Pyramid course focusing on economic development in Guatemala. Undergraduate student programs in Guatemala include the VISAGE service-learning course on health, development and culture. Since 2014, Vanderbilt, Tulane, University of New Mexico, and University of Texas have offered a 6-week summer immersion language program in K’iche’ Maya and Kaqchikel Maya. Students study with both U.S. faculty and native speakers. In addition to language study, students participate in cultural activities, lectures, discussions, and excursions. Students may study one of the languages at the beginner, intermediate, or advanced level depending on placement by program directors. With more than 1.5 million K’iche’ and Kaqchikel speakers in Guatemala, the goal of the institute is to help students develop and advance proficiency in their chosen language and to gain a better understanding of the cultural and political contexts that have affected the historical development and preservation of the language. More information about the Summer 2019 Mayan Language Institute. For information on other summer programs, please visit: CLASP Latin American Indigenous Language Summer Programs. 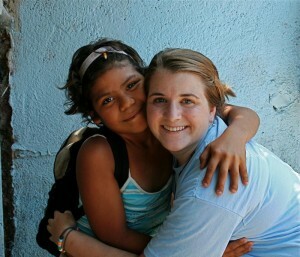 Alternative Spring Break: Program that takes students to Primeros Pasos, clinic in Guatemala every year since 2005. This program is organized through the Vanderbilt Office of Active Citizenship (OAC). Biomedical Engineering: Service-learning course taught by Cynthia Paschal; students work on medical equipment at Moore Surgery Center and other hospitals in Guatemala; collaboration with engineering students from the Universidad del Valle. Cancuén Archaeology Project: Archaeology Park in Alta Verapaz, Guatemala; integrating local development and health projects and eco-tourism opportunities. Conexión Guatemala: organization run by CLAS that brings together over 15 humanitarian mission efforts based in Nashville that focus on Guatemala. Institute for Coffee Studies: The Vanderbilt Institute for Coffee Studies (ICS) is dedicated to research on the human dimensions of coffee production, trade, and consumption. The ICS promotes applied scholarship that can better people’s lives, from potential bio-medical therapeutic uses to economic development programs. Its work ranges across a number of fields, from medicine and pharmacology to history and economic development to art and literature. Medicine, Health, and Society / CLAS VISAGE course: year-long VISAGE (Vanderbilt Initiative for Scholarship and Global Engagement) course during which students spend 4 weeks in Guatemala. Manna Project International: Volunteer driven non-profit organization serving international communities. At the Guatemala site, teams of thirteen-month volunteers work alongside targeted communities to implement a wide array of development programs. Owen School of Management: Project Pyramid course led by Bart Victor (Owen School of Management); students develop strategic planning and business models for Primeros Pasos clinic and other projects in Guatemala. Primeros Pasos / InterAmerican Health Alliance: NGO founded and led by VU medical student Brent Savoie offering preventive pediatric care to over 1000 patients a month in rural areas. School of Nursing / Nurse-Midwifery Program: New international component to the midwife program sends students to work with local midwives and Primeros Pasos clinic. Vanderbilt Institute for Global Health/ Vanderbilt Children’s Hospital Alliance: field station; surgical brigades, rotations and site for immersion ISC course for medical students. Kiche Mayan Language Program: The Center for Latin American Studies runs an intensive summer program for the study of the K’iche’ Mayan language in Nahualá, Guatemala, and receives U.S. Department of Education funding to offer a two-year sequence of intensive K’iche’.